LANSING — The Michigan House Health Policy Committee heard testimony from registered nurses and the public concerning the Safe Patient Care Act on Wednesday. According to a press release from the Michigan Nurses Association, more than 70 registered nurses from around the state attended the hearing, including several from Marquette. 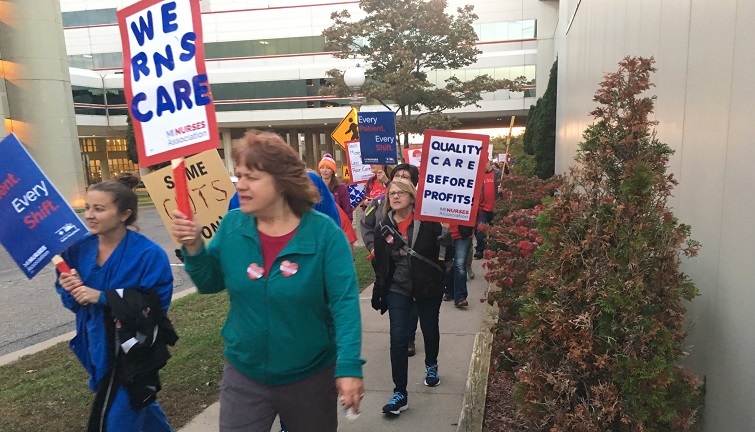 The Marquette nurses went on strike for two days in October over unsafe staffing levels at UPHS — Marquette that led to patient safety issues. HB 4629 establishes safe limits on the number of hospital patients a nurse can be assigned. There is currently no law, which too often results in nurses being stretched too thin to provide safe care. HB 4630 limits the number of hours a nurse can be ordered to work to 12 consecutive hours, with exceptions for special circumstances. Currently, there is no law regarding hours, so nurses too frequently are forced to work 16 or 18 hours at a time. HB 4631 adds transparency to hospitals by requiring them to disclose their RN-to-patient ratios so consumers can make informed decisions. The Safe Patient Care Act was introduced in previous session, but this time, the legislation is broken up into three parts and has more bipartisan support than ever. Fifty-one legislators have signed on to at least one of the bills in the package. State Rep. Ed McBroom and State Senator Tom Casperson showed their support for the legislation during the strike in October. SB 387 is identical to HB 4629, which discusses safe limits on patient assignments. SB 388 is identical to HB 4630, which covers limits on forced overtime for RNs. SB 389 is identical to HB 4631, which adds transparency on RN-to-patient ratios. No vote on the Safe Patient Care Act has been scheduled yet.